Fancy swapping your ride for something a little more eco-friendly? Here’s what you need to know. Just like their petrol cousins, electric motorbikes come in all shapes and sizes. The main difference between electric and petrol models is the presence of - or lack of - an engine. Electric bikes rely on a rechargeable battery and a set of electric motors to give it power. 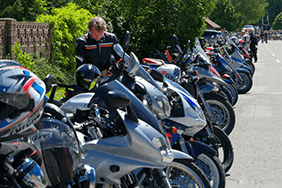 But you still need the right licence category; valid tax, MOT and insurance; and the appropriate level of physical protection to ride an electric motorbike. Why would I want an electric motorbike? In general terms, the motoring world seems to be headed to an electric future. By 2040, the sale of new petrol and diesel models (excluding hybrids) will be banned in the UK. You’re also helping to reduce our collective carbon footprint and to lower CO2 emissions from road traffic. 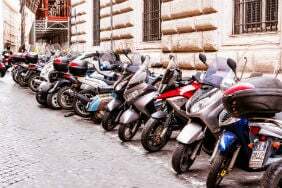 Electric motorbikes reduce pollution in more than one way. Noise pollution is a near-permanent issue, especially in cities. Going electric lets you start your 6am commute without waking your neighbours with the sudden roar of a bike’s engine. But for many, ‘embracing the future’ and ‘being an eco-friendly rider’ aren’t good enough reasons to make the switch. Thanks to the plug-in motorcycle grant, owning an electric bike could shave up to £1500 off the cost of the bike itself. According to Zero Motorcycles, the Zero S electric motorbike costs under £3 per full charge. This should – in the right conditions – let you travel around 120 miles. By contrast, the BMW R1200RT – one of 2016’s best-selling petrol models – costs around £30 to fill the tank. According to TotalMotorcycle, the R1200RT has a fuel economy of around 60 mpg, so a full tank gives it a 330-mile range. This gives you 2.5p per mile for the Zero S vs 9p per mile for the BMW. Assuming you ride around 7,500 miles a year, switching to an electric model could save you almost £500. Do I still need to tax an electric bike? The good news is that owning an electric motorcycle means you pay less tax. A purely-electric motorbike costs nothing in tax. The not-so-good news is that you still have to have valid tax on the bike in order to ride it – even if you don’t need to pay it. To qualify, the electricity from the bike “must come from an external source or an electric storage battery not connected to any source of power when the vehicle is moving”. 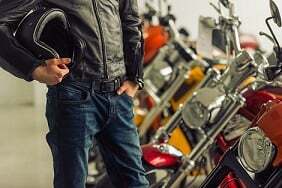 What are the drawbacks of an electric motorbike? It’s not all sunshine and roses. 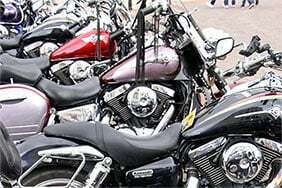 While you get the benefit of lower running costs, the initial cost of buying the bike in the first place is likely to be higher. Also, the efficiency of the electric system means that there’s less routine maintenance and servicing needed. But if you fancy yourself as a bit of a tinkerer, an electric motorbike might leave you with an itch that can’t be scratched. That ‘whisper-quiet’ feature is a double-edged sword. As we’ve noticed with certain cars, the sound of a bike’s engine can be part of its overall charm. A bike without that distinctive roar is like a guard dog with an anti-bark collar. You could also argue that the sound of a motorcycle helps it get noticed on the road. Taking this away – even if you’re replacing it with an artificial sound – might make it more difficult for other motorists to notice you. 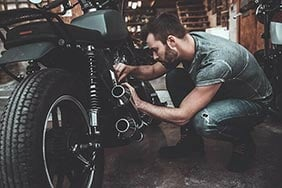 How do I charge an electric motorbike? You should be able to charge an electric bike at any electric vehicle (EV) charging station. Some models will allow you to plug in to a normal wall socket and charge from home. The charge time will depend on your particular model and what extra bits of kit you have. 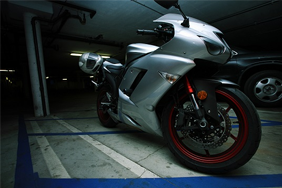 On average, you should be able to fully charge an electric motorbike in four to six hours. Some models let you buy charge tanks, which offer a faster charge. Using these means your total charge time is shaved down to around two hours. Though an electrified future may be inevitable, people have been slow to adopt EVs in general. Our fuel barometer shows that new registrations of EVs are still dwarfed by petrol and diesel models. 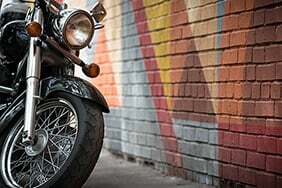 This and the higher price of electric bikes mean that motorbike-insurance premiums tend to be higher, on average. What you’ll need to take into account, though, is the overall cost of owning an electric motorbike. 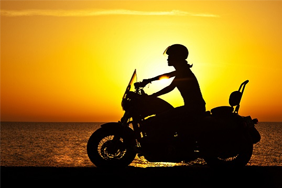 With tax and fuel costs lower than with a regular bike, you may still find that you’re saving money overall.